The Good Life: Wednesday April 15th, 2015. She’s leaning close to Grace’s bookshelves, panning over rows of Michael Crichton and Isaac Asimov. I’m not sure what the trouble is, everything’s categorized Science Fiction, Fantasy, or Other, with each section of perfectly preserved spines set in alphabetical order. She’s just hoping against hope for something that doesn’t involve time traveler’s, wizards, or the Millennium Falcon. Good luck with that. “Well, you need more of him.” June grunts. She looking closely at the books marked Other. They barely take up half a shelf. 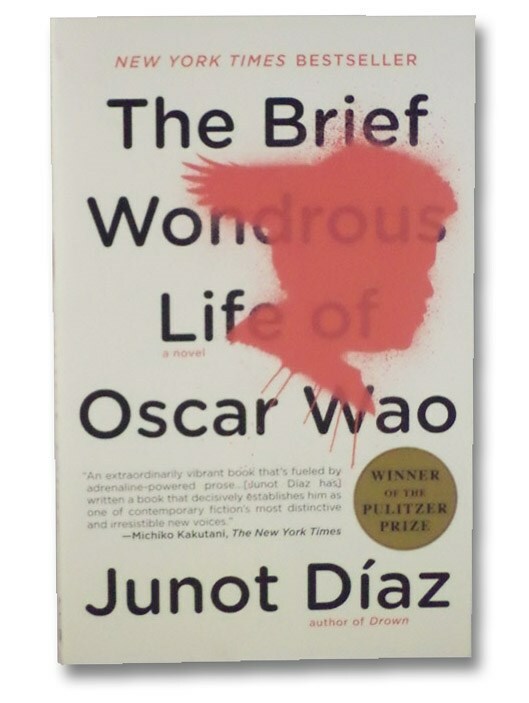 “What about The Brief Wondrous Life of Oscar Wao?” She takes it and begins reading the dust cover. “I haven’t read it.” Grace enlarges one the photos. “Mable, this is it.” She motions me over. She smiles. “Look at my mom. She isn’t happy.” She points to her mother, a plain women with shoulder length brown hair and fierce eye brows. She’s dressed in a baggy t-shirt that says, Teamwork is Easy Work, and on her left hand is a cheap Timex wristwatch. “Ok, I’ll read this.” June says reluctantly. “I just hope it’s good.” She plops down on Graces bed, reclining on the zigzag pattern comforter and One Direction sleeping pillow. “Shoe’s off.” Grace orders, not for the first time. “Si Madre.” June says, flipping through the first few pages of her book before kicking her Spalding’s off to reveal soiled brown socks. Her right toe peeks up from a hole like a rabbit from its borrow. Thank God we’re use to the smell. I lean in closer, inhaling Grace’s mango-strawberry scented shampoo. Her mother’s eyes aren’t just grey but murky and with the heaviness of insomnia. I want to slap the stink off of her. “It wasn’t about the gas.” Grace’s words are soft, run through with a red ribbon of concern. She closes the picture and then it’s folder. Her HP must have a thousand more like it, each annotated with a date and contents, as meticulously organized as her bookshelf. “At least they seem ok now.” I say, “My Mom and Dad aren’t even talking.” I find it hard to believe that Grace’s family has any real problems. With the exception of the thing between Morgan and Jason (which makes me want to puke) they seem pulled from a 1950’s sitcom. They even eat dinner at a big oak table and talk about their day. Freaks. Grace says nothing as she returns to her computer screen, a thin grin across her lips. She can never resist a compliment, not even a vulgar one. She nods, saying something about welcome any time and closes the door. June shakes her head. “Qué te pasa! What’s the matter with you!” Her laugh has the deep rasp of a forty year old smoker. “Your parents love you, you have spaghetti every night and all this!” She waves her hands like a stage magician, motioning to the four baby pink walls covered with family photos, a Taylor Swift Red poster, tons of Gryiffndork junk, and a white dresser sure to contain neatly folded socks and underwear, all are more than June could ever hope for. “Yeah?” June asks. She seems unmoved. A lackluster home life must seem like heaven to girl with less than nothing. I don’t think she’s seen her mother for two days. “I think this’ll be a good book.” June says, turning again to the cover. It looks like it’s smeared with blood. This entry was posted in American Angst: Journal, Home and tagged dysfunctional, family, family teenager disfunctional depression, friendship, mom, mother, teenager, unfulfilled. Bookmark the permalink.